Discuss the finishing operations of padding, drilling, cutting, and trimming. Collect, describe, or identify examples of the following types of binding: perfect, spiral, plastic comb, saddle stitched, and case. Visit three websites (with your parent's permission) that belong to graphic arts professional organizations and/or printing-related companies (suppliers, manufacturers, printers): With permission from your parent or counselor, print out or download product or service information from two of the sites. 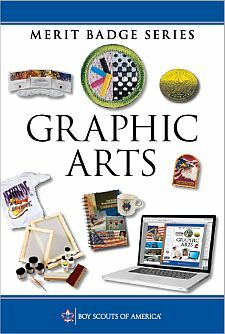 Review with your counselor the processes for producing printed communications: offset lithography, screen printing, electronic/digital, relief, and gravure. Collect samples of three products, each one produced using a different printing process, or draw diagrams to help you with your description.